A GARDA DRESSED up as a postman and borrowed an An Post van to deliver 36,000 ecstasy pills to a suspected dealer, a court has heard. Philip Noonan (49) signed for the parcel and was promptly arrested by gardaí who had been alerted by customs to a suspicious package, later found to contain over €280,000 worth of drugs. Noonan, of Viking Road, Stoneybatter, Dublin 7, was sentenced to two and-a-half years in prison for possessing drugs for sale or supply at his home on June 30, 2015. He initially told gardaí he hadn’t been expecting a delivery and knew nothing about the package, but pleaded guilty on the day of his scheduled trial at Dublin Circuit Criminal Court. The court heard the pills had a market value of €288,000. Passing sentence today, Judge Martin Nolan accepted that the accused man was not the owner of the drugs but had decided to receive the package for onward delivery. “He knew what he was getting into,” said the judge. “This was serious drug-dealing even though he didn’t profit to a great degree. Garda Joanna Myles told Dean Kelly BL, prosecuting, that customs officers had been alerted to a suspicious package that had arrived from Germany to the Portlaoise Mail Centre in early June 2015. The parcel, addressed to Noonan, showed an anomaly on the X-ray machine and was found to contain 18 vacuum-packed bags of round blue tablets with logos printed on them. 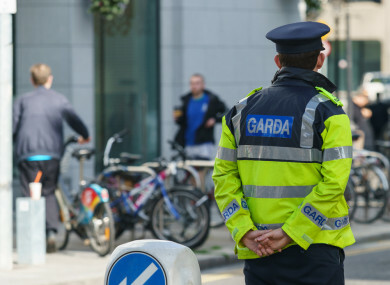 It was then arranged with postal services that a garda wearing an An Post jacket and driving an An Post van would deliver the package to the accused man. Noonan opened the door and signed for the package, and when gardaí entered the house a few minutes later he was in the lavatory. He has 20 previous convictions, mostly for minor public order offences and criminal damage, apart from one robbery for which he received a two-and-a-half year sentence in 1992. The 36,000 pills were analysed and found to comprise MDMA with a market value of €288,000. Garda Myles agreed with James Dwyer BL, defending, that the accused was not “living a lavish lifestyle”. Dwyer said his client was the youngest of ten and a chronic alcoholic like his father before him. He said Noonan had been a truck driver until an early conviction for drink driving had put him off the road, but that he had worked sporadically since then. “He was an important cog in the machine of drug-trafficking, but he wasn’t the man who was the owner of the drugs,” said Dwyer, before asking the judge if there was any public interest in his client being incarcerated. Judge Nolan replied that although there were mitigating circumstances, including a letter submitted by Noonan’s sister, he deserved a custodial sentence. Email “Garda dressed as a postman to deliver 36,000 ecstasy pills to suspected dealer”. Feedback on “Garda dressed as a postman to deliver 36,000 ecstasy pills to suspected dealer”.